Welcome to FLENJ Webchat Series (60 minute live learning online with FLENJ Board members and guests) cost is $5 for members and $25 for non-members. Choose member or non-member registration and then the list of webchats will appear to allow you to select as many as you want! 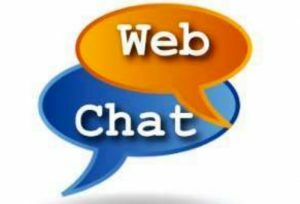 The 2018-19 Webchat series is now available. If you like what you see for this year, please consider one of our archived webchats! Have you wanted to implement the Seal of Biliteracy in your district but didn’t know where to begin? Now is the time to learn! Join in on this WebChat and get your questions answered from two experienced World Language Supervisors. You’re nearly halfway through the year and feeling that the classroom culture you worked so hard to cultivate in your world language class is showing strain. What steps can you take to ensure smoother sailing from now till June? Building assessments that reflect purposeful communication is essential to continual growth. Explore different measures to assess performance towards proficiency as well as strategies to prepare for such assessments. It is indisputable that the use of target language is not only important to use in classroom discourse, but essential. The way we interact with one another, should thus be in the target language, but also rooted in authenticity. Although the classroom environment is an artificial construct, we should nevertheless strive to create authentic scenarios so our students are prepared for using language in the real world. By giving classroom language a real-world context, we not only prepare our students for participating in the real world with real language, we also increase their motivation and interest. This web chat will equip participants with strategies for staying in the target language and designing authentic scenarios that can be implemented in the classroom. Thank you for visiting and taking advantage of our web chat series of the 2018-19 school year!